WhereToFindCare.com Blog: How Do Weight Loss Plans Work? 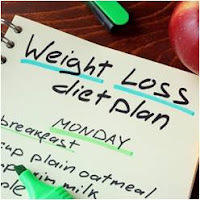 How Do Weight Loss Plans Work? Have you ever heard of a weight loss center? 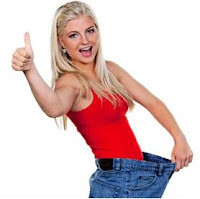 At these facilities dedicated to the eradication of your extra weight, different weight loss plans are offered to clients so that they have a range of options for what suits their bodies and lifestyle best. But what exactly happens once you sign up for a weight loss plan? Let’s take a look at the nuts and bolts of weight loss centers and their strategies so you can see for yourself if a weight loss center is for you. What happens at a weight loss center? When you sign up at a weight loss center, you will be partnered with a weight loss team. This team usually consists of a doctor and several clinicians. This team helps you focus your weight loss strategy, introducing you to activity changes, changes in your eating habits, changes in the way you think about food, changes in your actual diet, and extends a support system your way. You will need all of these components to change your lifestyle and make your goal weight attainable and sustainable. 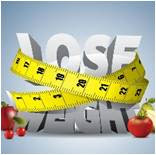 Every weight loss center has varying degrees of difference in their weight loss plans. There are usually three or four to choose from, sometimes more. Each plan has a different aspect that appeals to different clients. For example, a weight management center might have an introductory plan that caters to those who have never considered a weight loss plan before, usually at a lower price than other plans. The next two levels of plans will increase the types of activities and services available to you. A second tier plan might include follow-up visits, while third and fourth tier plans extend the length of time that you are able to attend the weight loss center. There is usually a plan for every level of need and price point at a weight loss center like True Weightloss Solutions in Chattanooga, Tennessee. Take some time to consider which plan best suits your needs and schedule. Are you trying to keep to a tight budget and feel confident of being able to get a new eating plan to implement on your own? A first tier, introductory plan might be what’s best. Do you tend to struggle with following guidelines and need some extra encouragement? A second tier plan that includes two or three follow-up visits can be the one thing missing from your lifestyle, the key to unlocking true weight loss. Finally, do you need a team to hold you accountable, maybe a little boost to keep you going while you develop a new lifestyle? The extend follow-up visits included in upper-tier plans may be what you need. Just expect to pay a little extra for the luxury of keeping the weight loss team on your speed dial. Have you ever been on a plan at a weight loss center? Joining a community of individuals who are dedicated to helping you reach your goals, or who want company as their reach their own, is well worth it. Weight loss centers are a good place to start if you think that changing your mindset about food and exercise is what you need to keep losing weight. Instead of getting discouraged about your weight loss and giving up, get yourself to a weight loss center to see if they can get the next few pounds off instead. Have you ever been a member of a weight loss center? If so, did the plan work for you? Did you find the team helpful and the community support worth it? Leave us a comment about your experience! Why Choose A Weight Loss Center?